The origin of the Blackjack game is indistinct. We may find the first known reference in the short-story “Rinconete and Cortadillo “ of the “The Exemplary Novels” written by famous Spanish author Miguel de Cervantes. Main characters of the story are cheaters who play “Ventiuna” (literally – twenty-one). The game objective is described as – to reach 21 points (but not more) with two or more cards (preferably two). It also stated that this game has been played in Castilla since the beginning of the 17th century. Later references of this game have been found in France. And a century later, it has been introduced to the American continent together with the French settlers. When it comes to casino games like blackjack, who are the better gamblers - men or women? When the gambling houses in the US introduced this game to the public, it didn’t gain much popularity, and because of that, they had to do something in order to attract new players. For example, they offered huge pay outs (like 1 to 10) in case if a player hit the Blackjack. 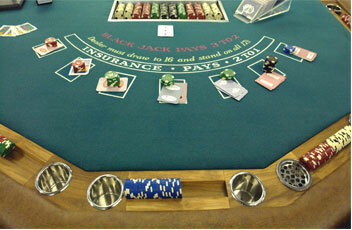 At that time Blackjack meant – a black jack and a black ace (spades or clubs). Nowadays, the “blackjack” combination (Ace + 10/J/Q/K) may consist any cards regardless of suits. And the game itself has become one of the most popular card games, because of its relative simplicity, not only in the US, but in rest of the world as well. is to beat a house, and not to reach the magic number of 21! Before start playing, it is strongly recommended to get acquainted with all the information available, because blackjack has a lot of different variants (f.e. Spanish 21, pontoon, Vegas strip, Elimination blackjack) and the rules for each of them are slightly different. Besides, as Blackjack is not completely a game of a chance – learning strategies might significantly increase your odds. 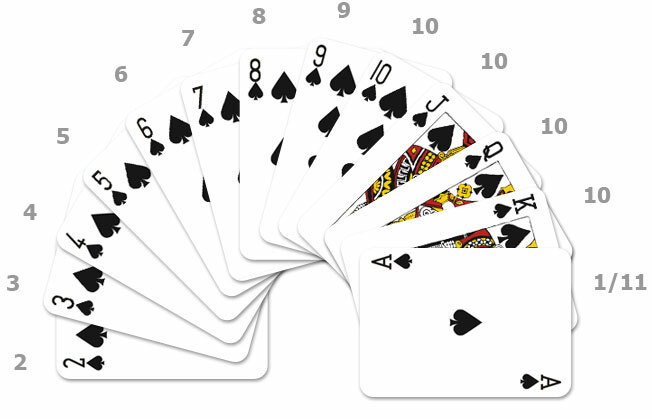 This gesture means that a player asks for another card in order to complete the “hand”. This gesture tells the dealer that you don’t want any more cards. If a player has two cards of the same kind, it is allowed to split the cards into to two hands ( the splits amount may be limited though). Split hand can still be 21, but doesn’t count like a Blackjack.